Hello , I am gettining a white mould in some parts of my worm farm , could you tell me if this is normal or is the ph level or something else happening? My feeding regime is to give them shredded carrot,cabbage, beetroot, broccoli tea bags, small amounts of egg shell ,coffee grounds and other vegie matter. I water most everyday and add dolomite every feed and when I first saw the mould I removed the affected area and put in a new worm blanket to hopefully stop the mould comming back but no luck . Can you help??? It's not necessary to water every day. This is where the abundance of mold is coming from. Mold is NOT harmful to the worms. This is a microbe that is actually their food. You may also be feeding them too much. Only give them what they can keep up with or the mold, smell, and bugs will get out of control. If you see mold just mix it in with the worm castings and bedding and use a spray bottle to spritz the bedding if it starts to dry out. Overfeeding and overwatering is the most common issue for those just starting out. Go through the Worm Farming Guide and read some more worm questions and answers to get a good knowledge of feeding. Hi Paul, Your feed back on my mystery mold ,your advice was Right on the mark and I am happy to say resolved my concerns and they are now healthy and more productive than EVER :) !! 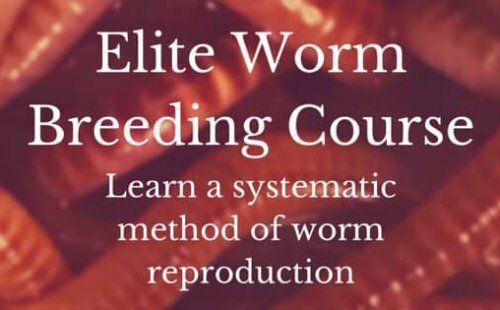 When starting out you tend to find only the basics on how to start worm farms and how to look after these wonderful nutrient providers for our gardens . So Thank's again for all your help !! I've even started a second worm farm using horse manure which is a new adventure for me ! !